The type Z51-AB22 display and control unit is an electronic component for installation in equipment destined for use in environments susceptible to fire-damp. 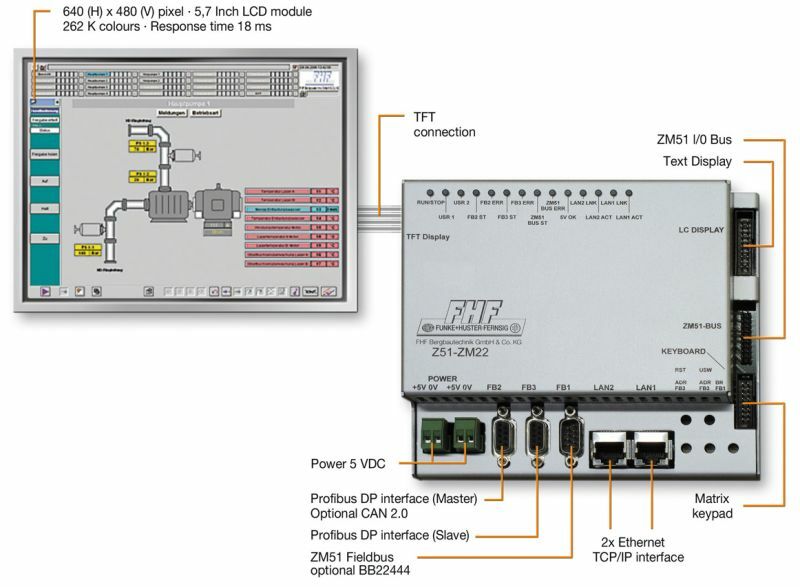 The display and control unit is used for the colour display of process images in an automation unit and for the input and change of parameters or menu selection. The display and control unit is configured as an electronics module which consists of the actual colour TFT display module, a TFT carrier board and a plug-in keypad. 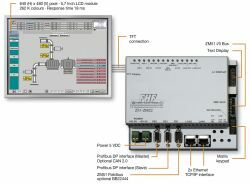 The display and control unit of type Z51-AB22 is destined for installation in a station housing of the associated automation and control devices of type Z51-iST3** of the ZM51 series and for connection to a central module of type Z51-ZM22. The display and control unit of type Z51-AB22 is designed for category I M1, protection type Ex ia I Ma as per EN 60079-0:2009, EN 60079-11:2007 and EN 50303:2000. The unit is equipped with a colour TFT LCD display module with a diagonal of 15cm (5.7“) which offers a resolution as per VGA standard (640 (H) x 480 (V) pixels) and can show 262,144 colours. The display area of the Z51-AB22 is backlit with LEDs. The TFT carrier board is used to connect the TFT LCD display module to the digital RGB interface of a control unit (Z51-ZM22) and to decouple its power side from the intrinsically safe circuits of this unit, as well as to scan the keypad and to transmit the information data via a serial RS232 interface to the control, plus to generate / to perform the intrinsically safe conditioning of the supply voltage for the TFT LCD module and the backlighting.